Grid Users can generate a report purely to focus on position reports, rather than on the alarms. 1. In order to generate a report on positions on the Grid, go to the Reports section shown on the top toolbar of the platform. 3. 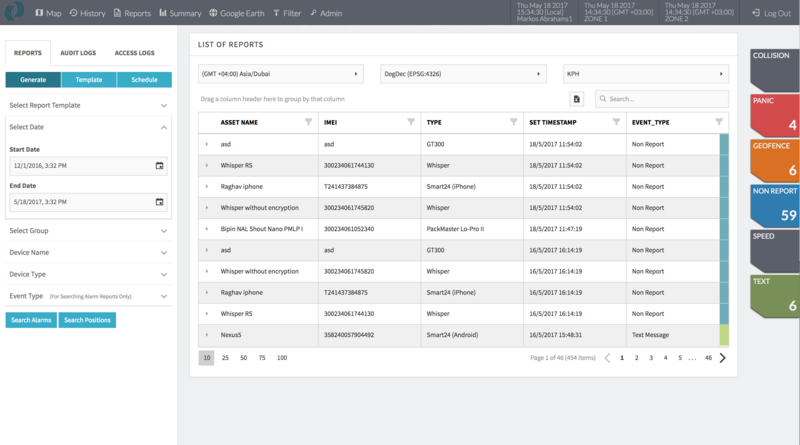 Click Search Positions, the system will then display the report information in a table. All the information can be downloaded either as CSV or as an Excel file. This report can also be exported as a KML and loaded onto Google Earth.